Austin Polish Society and the University of Texas reached an agreement on Apr 22, 2013 to establish the Polish Studies Endowment at the University of Texas. study or research abroad in Poland by students of the University. study of Polish culture, history or language at the University. talks or events related to promoting Polish Studies. scholarly research related to Poland. instruction of Polish language, history, and/or culture by faculty at the University. 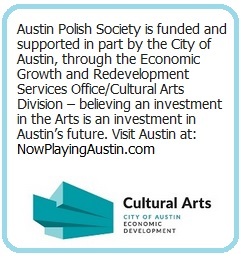 Austin Polish Society has contributed over $45,000 to fund this endowment. Individuals and organizations are encouraged to make additional contributions to this endowment! We want the principal amount to grow over the years! Click on the link below to donate directly to the Polish Studies Endowment at The University of Texas, a permanent endowment (as of April 2013) for the benefit of the Polish Studies Program in the Center for Russian, East European and Eurasian Studies. Funds from this endowment shall be used to support study or research abroad in Poland by students of the University, talks or events related to promoting Polish Studies, scholarly research related to Poland, or instruction of the Polish language, history, or culture by faculty at the University. An endowment is an investment fund set up by an institution in which regular withdrawals from the invested capital are used for specific purposes. Endowments are funded by donations – which are tax deductible for donors. The principal is invested and never spent and each year a distribution (like dividends on a mutual fund) is made to a chosen program or area. Investment earnings above the dividend rate help the endowment value grow over time, to keep pace with inflation to maintain endowment’s spending power. Once an endowment is officially established, any person or organization may donate additional funds to add to its principal. 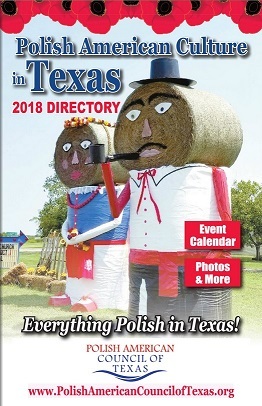 Copyright © 2019 Austin Polish Society. All Rights Reserved.